Charitable organisation Impulse Leisure, whose goals are to help the local community get active and healthy, has supported over 48 Cancer patients to improve their activity levels in a successful pilot scheme. The programme was tested at Blackshots Centre in Thurrock and has already supported over 48 patients to improve their activity levels. Four 12-week programmes saw participants take part in twice-weekly sessions, including aerobics, gym sessions and regular light exercise. Results showed that 75% of patients who took part in the pilot scheme moved from being inactive to fairly active, with others benefited from the social element as well as improving their mental and emotional wellbeing. Since taking part in the sessions she has completing changed her lifestyle and outlook. 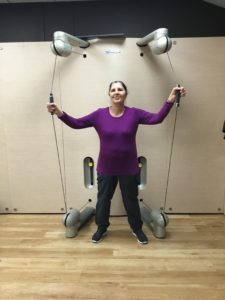 She now attends the gym as much as four times a week and places a much greater importance on physical activity as part of her daily lifestyle. Following the successful impact of the pilot, sporting and health organisations across the county have come together to extend the programme to support over 200 cancer patients and help them live healthier, more active lifestyles. The new programme will see twice-weekly sessions run at four locations across Basildon, Brentwood and Thurrock, including; Impulse Leisure Blackshots, The Gym Hub Wickford, and The Brentwood Centre. 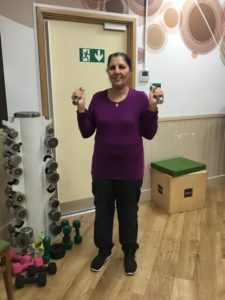 The Active for Life programme, led by sporting charity Impulse Leisure, will provide cancer patients of all stages from diagnosis to remission, with a range of positive activities to help improve their fitness. The highly-trained staff involved with the programme will create personalised activity plans, adapted to suit the needs and abilities of each individual. Active Essex, the county sports partnership for Greater Essex, was amongst one of the organisations involved, and supported the project by signposting funding opportunities to expand the programme.